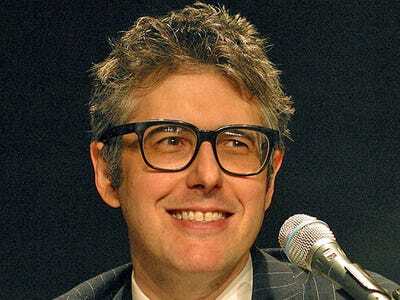 In an interview with Jordan Zakarin at The Hollywood Reporter, liberal public-radio star Ira Glass – whose weekend show This American Life airs on more than 500 public radio stations – admitted the obvious: they don’t need the federal money to survive. ZAKARIN: Through the silly Killing Big Bird thing, the fate, at least briefly, of public broadcasting was brought up during the presidential race. What did you think of all that as it was happening? GLASS: Well, I first thought -- and now that the election is over, I feel like I can say it out loud -- was that I really wished he had mentioned our show. GLASS: Romney, yes! That’s the kind of press money can’t buy. When you’re working in public radio, you don’t have any money to advertise. That would have been awesome. And I was watching the debate and thinking, “Please say us, please say us.” And I know we were just not quite big enough. I knew that if he mentioned the car guys [from Car Talk] or Morning Edition, and I was just like, ugh, we are so second tier! We are almost there. My dream is to be the show that, when a Republican candidate stands up and says what the U.S. government can no longer fund, that he names our show. But the sad fact is that we get no money from the federal government for our show, so if a candidate did that, it would be completely ridiculous. ZAKARIN: You would have had a Tumblr, at least. GLASS: I feel like the discussion as to whether the federal government should fund public broadcasting is a public one and, in my world, a very political one to comment on. But just a tiny, tiny portion of public radio’s money comes from the federal government. And when the Republicans say that public radio would survive without that money, the truth is, they’re right, it would survive. Certain things would go away; the smallest stations would be in danger of going out of business for sure, but if you live in a big market, most of the things that you hear on the radio would be just fine. Your station would exist, and most of it would stick around. Public TV, I don’t really know much about that part. I don’t know what the effect would be. Glass's show celebrates eight-year-old transgenders -- but that's not "left-wing media" in action, somehow? Glass also insisted that NPR news executive Ellen Weiss -- the woman who fired Juan Williams without warning or a meeting for appearing on The O'Reilly Factor -- was an "ally for everything good in public radio."